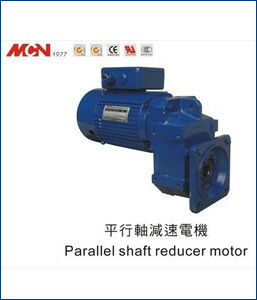 Being the leading manufacturer, distributor and exporter, we have been able to produce fine finish and high tolerance Parallel Shaft Reducer Motor. This motor has been globally demanded for their wide use in welding machinery. The offered motor is designed and manufactured by our adept professionals using optimum quality components. Moreover, the provided motor can be availed according to the specifications provide by the clients to us.